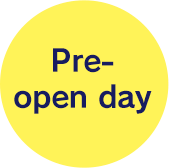 Pre-open day : Fri, Oct 23, Open day : Sat, Oct 24. No registration required Fee entry. Does life exist out in the Universe? How does life appear? What forms does it take? Is life ubiquitous throughout space? Humanity has wondered about these questions for centuries, but now thanks to recent progress in extrasolar planet observations, for the first time in history it is possible to scientifically search for the answers. a new science seeking answers to these ancient mysteries. 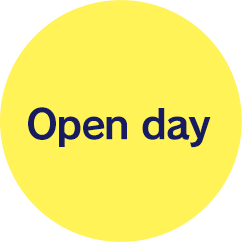 Various departments will be open with events such as exhibits for public viewing, mini-lectures, a Q&A Corner, and stargazing party. There are many fun events like public viewing of the core observation and research facilities, exhibits, introductions to the research, lectures, mini-lectures, a Q&A Corner, stamp rally, and stargazing party. 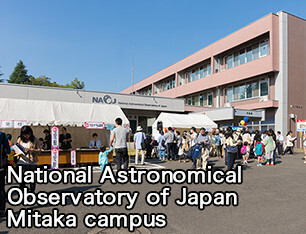 The entrance is the main gate of the National Astronomical Observatory of Japan(NAOJ). The rear gate will be closed on the day. 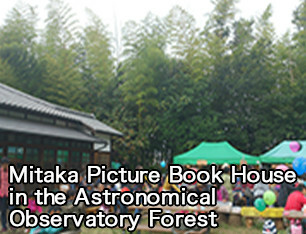 So, the visitors who visit the Mitaka Picture Book House in the Astronomical Observatory Forest, please come in through the main gate of NAOJ. If visitors with disabilities want to visit by a car, please contact us. We will make arrangements. Please do not bring your pets in to the campus. However, the service animals allowed in the campus. 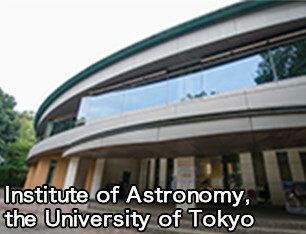 © 2015 National Astronomical Observatory of Japan.